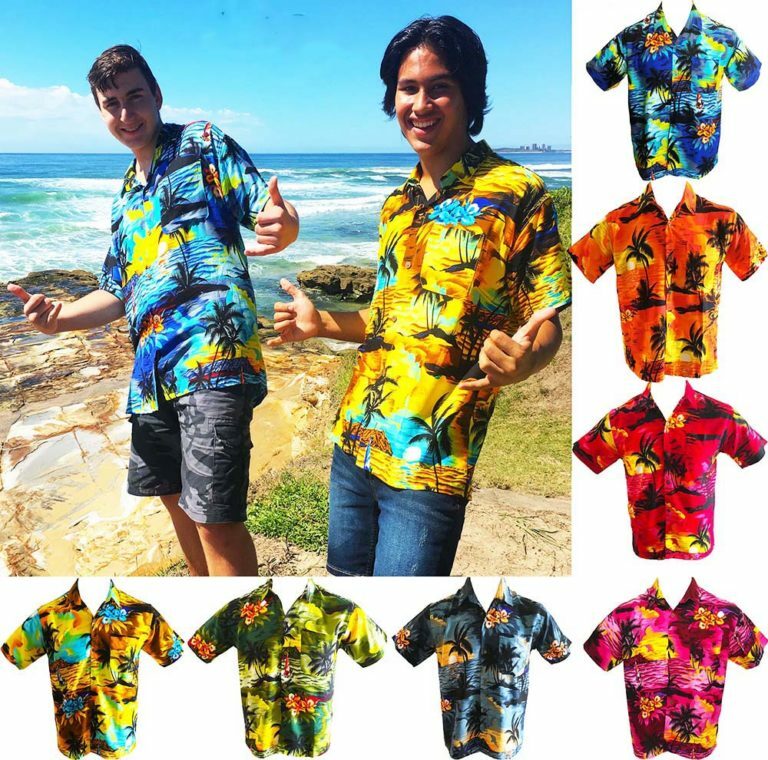 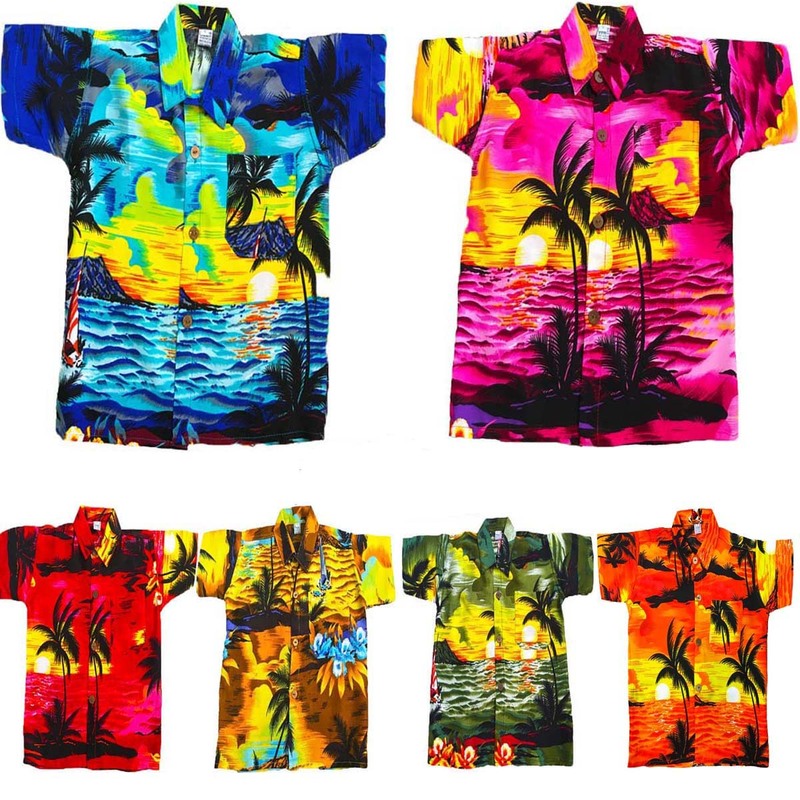 Made from soft Rayon these lovely colourful shirts are the perfect beach, party or casual attire. 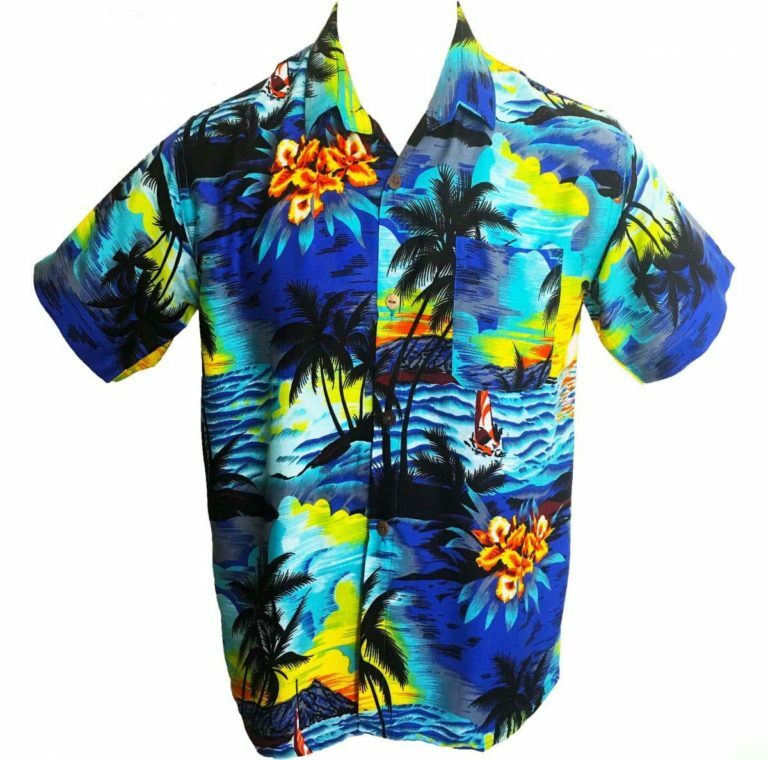 Visit our Ebay store for matching Mens, Ladies and girls clothing in Sunset Blue. 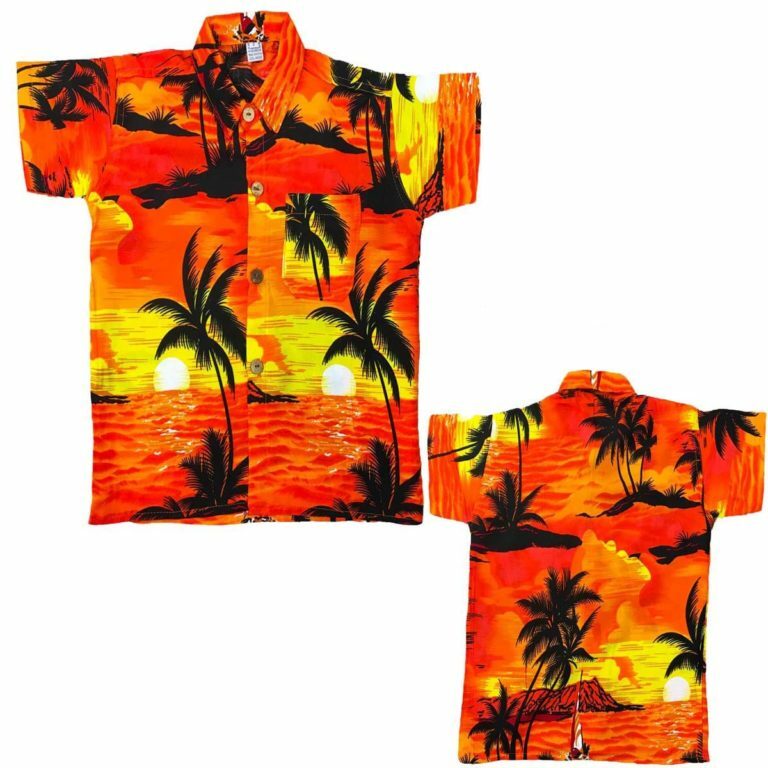 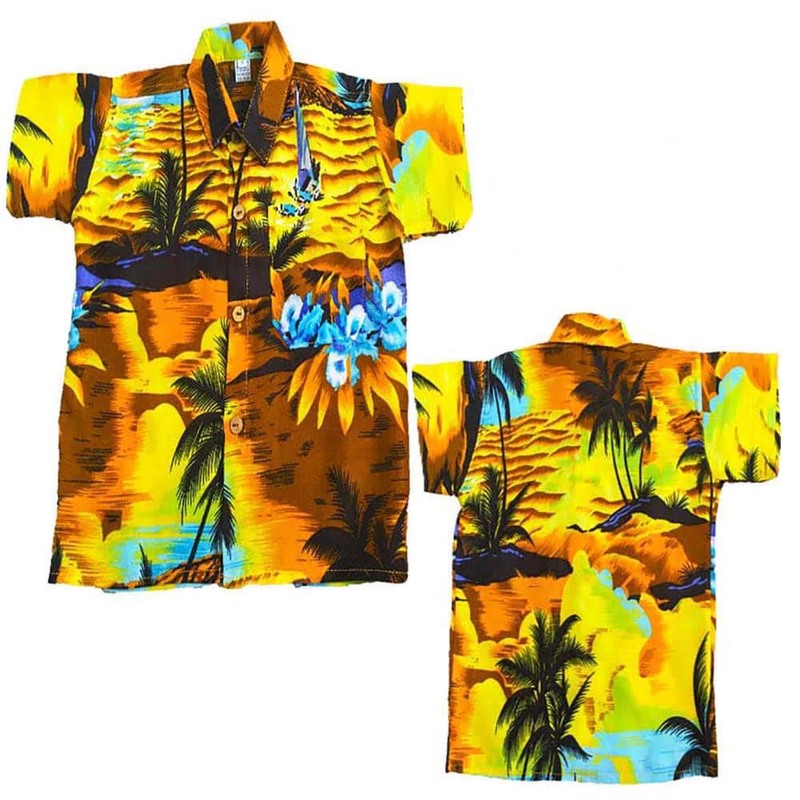 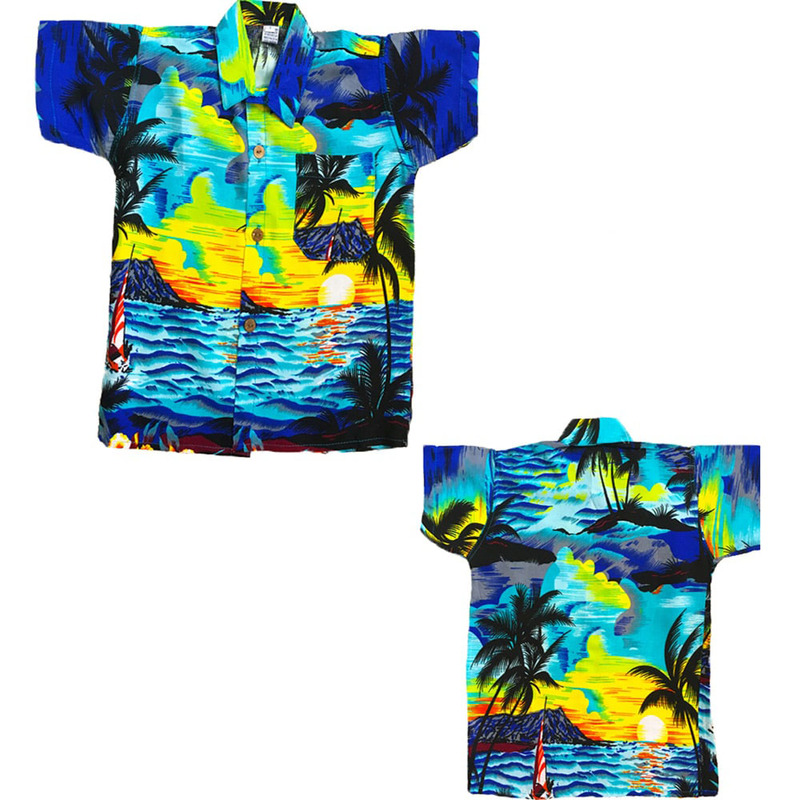 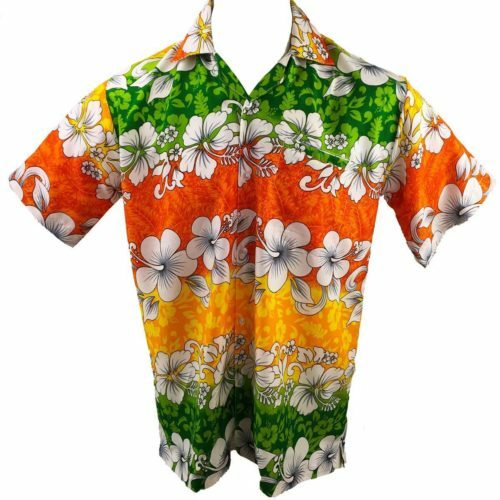 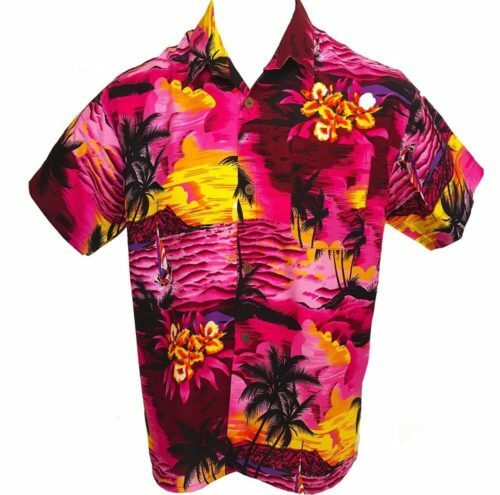 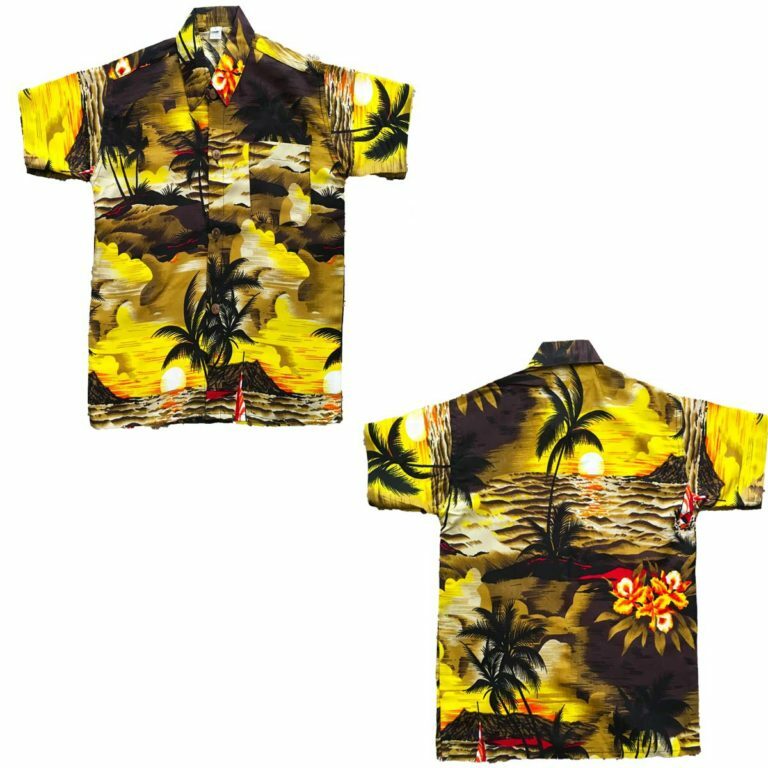 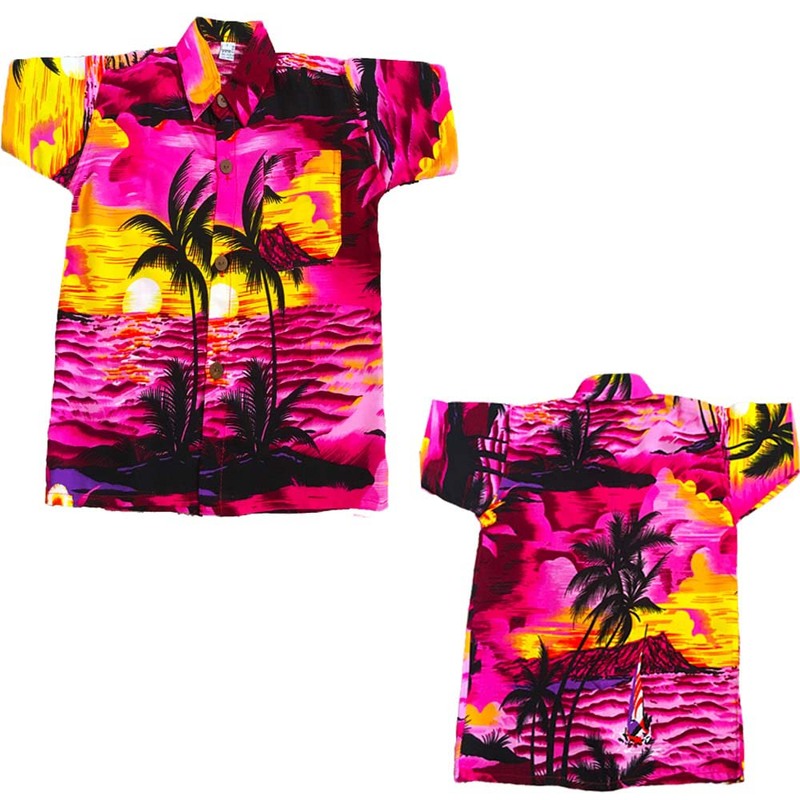 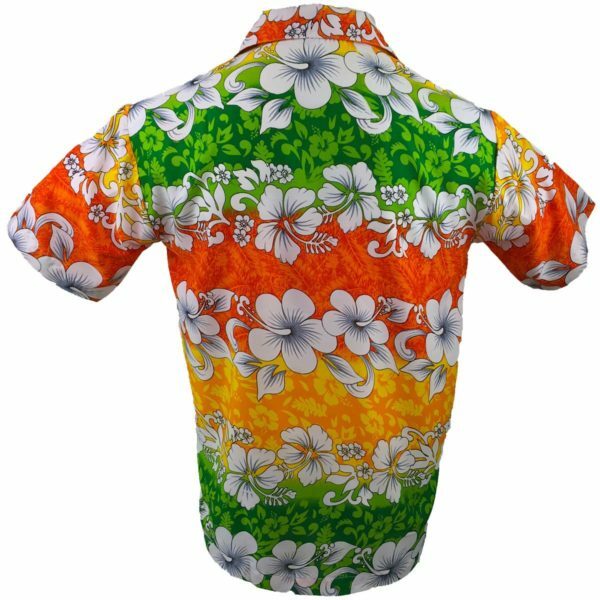 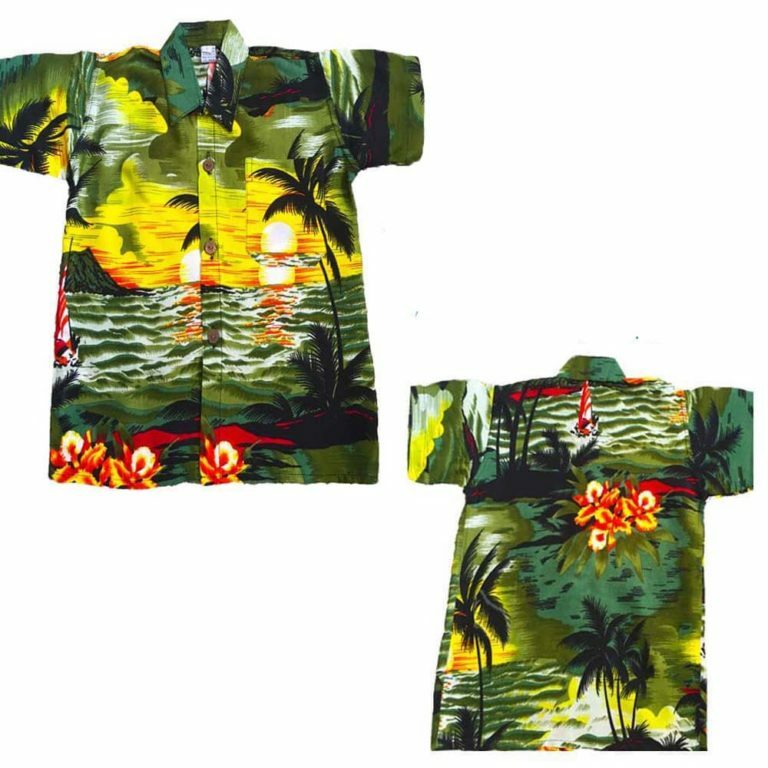 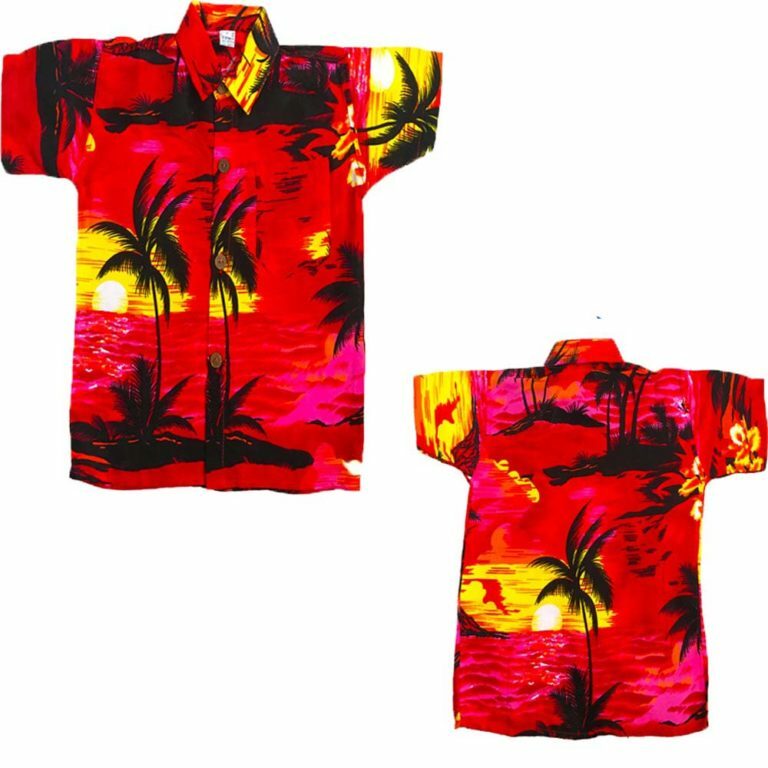 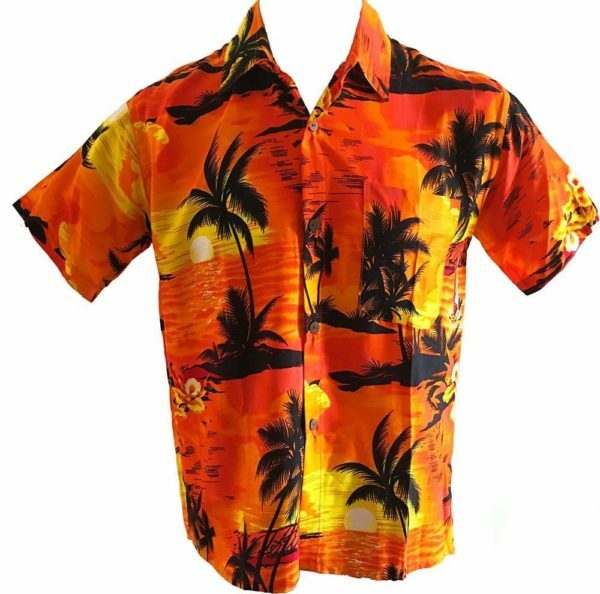 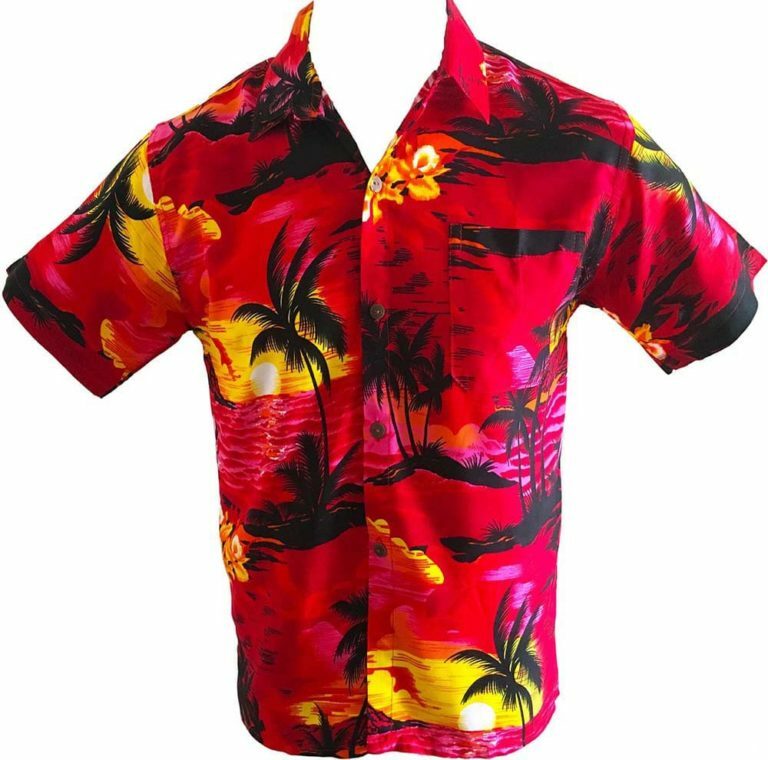 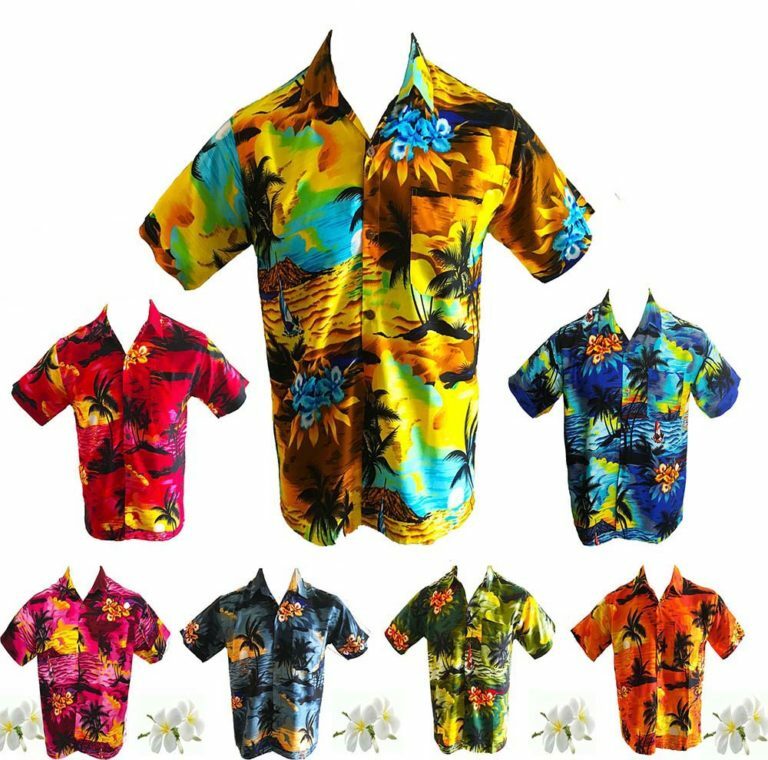 SIZING Hawaiian shirts are typical worn loose. Please check the simple sizing guide BEFORE purchasing. 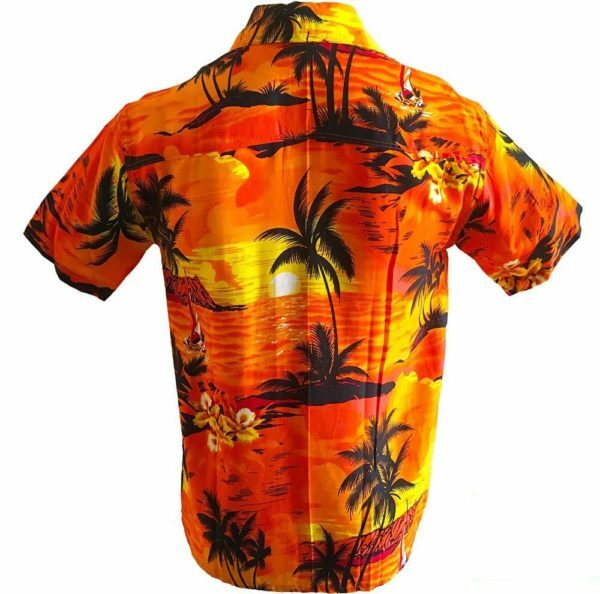 IT IS IMPORTANT TO CHECK SIZING BEFORE PURCHASING TO ENSURE CORRECT FIT.